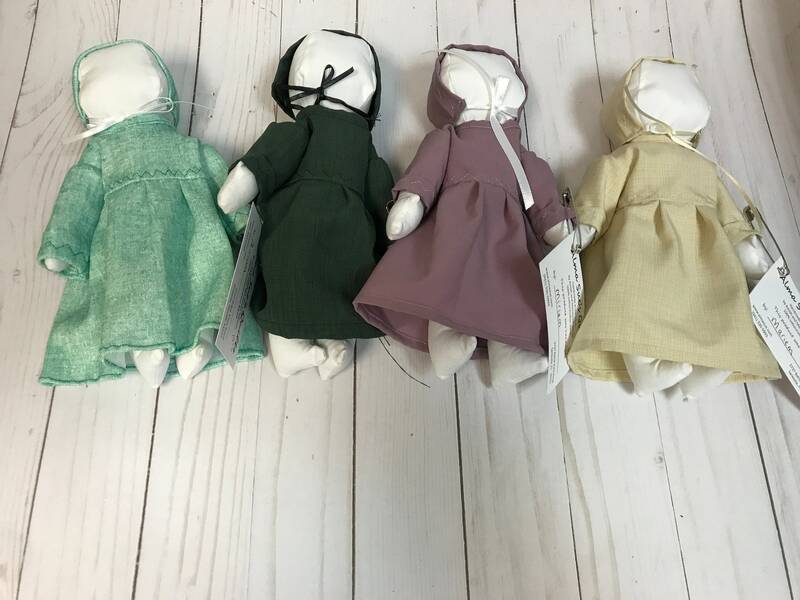 Handmade Amish Dolls available in a variety of colors. 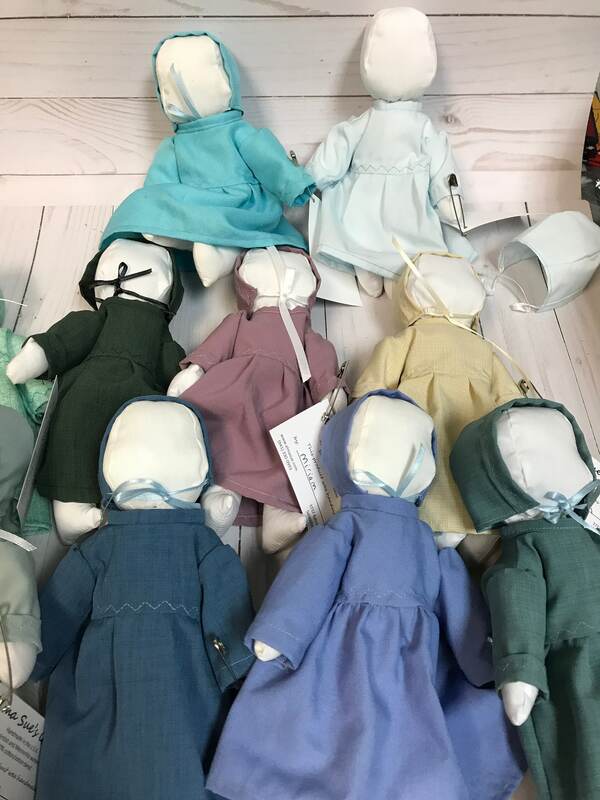 Choose from Turquoise, Light Blue, Green, , Periwinkle, Dark Green, Mauve, Beige. 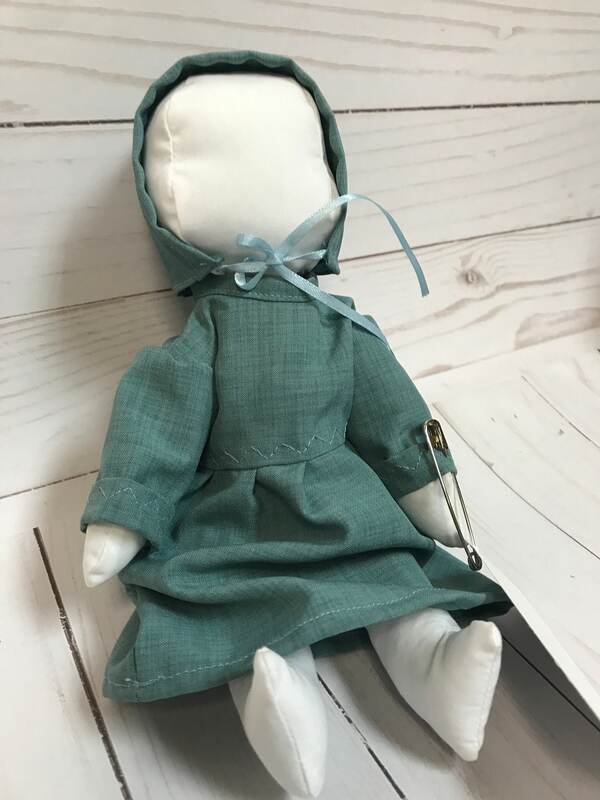 Made by Miriam, daughter of one of our Amish hand quilters.